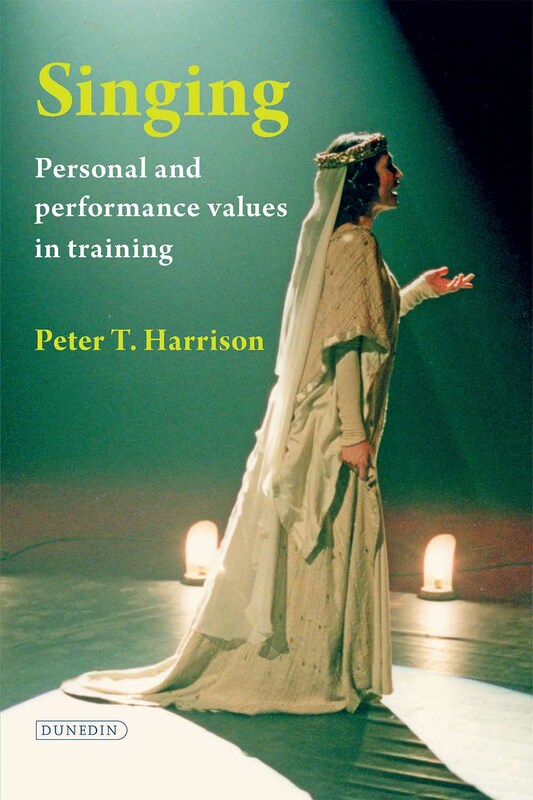 There is something wonderfully old-fashioned and endearing about Peter Harrison’s Singing: Personal and Performance Values in Training. Partly this has to do with the author's seeming desire to re-introduce notions of classical ethics and aesthetics into a profession which has, he maintains, turned the art of singing into a spectacle of the fastest, highest and strongest voice. Excitement and thrill have replaced sustained artistic endeavour and aesthetic appreciation. Harrison writes in a classically humanist vein, bemoaning the demise of an era where singing was an art-form and merit determined by craft and skill rather than by media exposure. There is a wider cultural critique here: the culture of the late twentieth and early twenty-first centuries fundamentally eschews notions of ‘self-realisation’ and ‘authenticity’, which are at the centre of Harrison's book. Time and again, Harrison points out the importance of ‘returning to our natural state’ (p.51), the arche and telos of the humanist project. In Harrison's view, every music college, conservatoire or academy should have a literary department where singing students can learn the arts of reciting and reading aloud and take classes in ‘the appreciation of word-settings’ (p.103). Dancing, drumming and Eurhythmics would also figure strongly because, he argues, ‘a lack of rhythm is worryingly common among singers’ (p.89). As if to demonstrate the depth of his desire to change the current conservatoire curriculum, Harrison provides an exemplary 5-year curriculum in the appendix. Harrison sets out from a laudable premise: to understand singing as a holistic undertaking which cannot be reduced to any of its aspects alone. Emotion cannot be separated from technique and technique cannot be separated from physique. There is no standard formula for teaching singing, only a hermeneutic project where teacher and student undertake a journey as equal partners in order to recover a student’s voice and personality. Undoubtedly, the text is strongest in sections which discuss the anatomy and physiology of the human voice and its organisation into subsystems which cannot be separated from emotions and meaning-making processes. A major disadvantage of the text lies in its often anecdotal style—‘I once was at a lieder recital by a well-known singer…’ (p.59)—coupled with unfounded generalisations when talking about pedagogy at music conservatoires. Harrison does not draw on academic research to substantiate his claims. Students' practice, for example, has been the central focus of recent self-regulation and self-efficacy studies: Ritchie and Williamon (2013, p.11) showed that students use musical skills such as ‘acute ear / detailed listening’ in practice and that these skills can be linked to self-regulated learning behaviours such as to ‘evaluate the quality of progress of learning’ (see also Ritchie and Williamon, 2011). In her study on strategies and self-efficacy beliefs in individual practice, Nielsen showed that students employ cognitive, meta-cognitive and resource management strategies during practice (2004). The detail, rigour and conclusion of these studies is in stark contrast to Harrison's claim that ‘students rarely know how to benefit from their practice’ (p.112). More disconcertingly, Harrison cannot do justice to his holistic paradigm. His book simply does not provide him with the space to do so. Towards the end, the reader is confronted with an increasingly eclectic and seemingly unconnected mix of short paragraphs fitting in everything from noise pollution to meditation to Alexander Technique. There is no longer a sustained argument, Harrison instead providing a catalogue of recommendations. The author seems to be aware of this, pointing out early on in the book that ‘talking holistically of one aspect of singing… one must assume constant linking with or referencing to all other aspects upon which it has a bearing or of which it is an integral part’ (p.7) and that this can be problematic since one is obliged to write in a linear fashion. Harrison’s approach is spatial and best displayed in a mind map (p.12), centred on the singer, where all the internal and external connections and influences are delineated. In the text, however, these aspects become disconnected. As a result, the reader will find it increasingly difficult to link the various parts back into a whole. There is no doubt that Harrison is an insightful and witty commentator drawing from a wealth of personal experiences. Although knowledgeable, large parts of the book are journalistic rather than academic; too much remains unclear and undefined, his use of philosophical and psychological concepts vague. Buddhism figures along with Jung, Spinoza and Fromm, without a clear trajectory. To this end, it is far from clear what readership Harrison has in mind when writing his book. Without a sustained engagement with current teaching practices at conservatoires nor with the philosophical or psychological concepts underlying his writing, neither teachers nor academics will benefit from reading this book. As for singing students, they may find it entertaining but, as Harrison himself points out, ‘to write a book about singing without a single exercise in it may seem odd’ (p.74). Thus, whilst I love his romanticised notion of a good singer as ‘an ambassador of the heart’—try explaining that with VoceVista1—the heart of his book is somehow lacking. Nielsen, S.G., 2004. Strategies and self-efficacy beliefs in instrumental and vocal individual practice: a study of students in higher music education. Psychology of Music, 32(4), pp.418–431. http://dx.doi.org/10.1177/0305735604046099. Ritchie, L. and Williamon, A., 2011. Measuring distinct types of musical self-efficacy. Psychology of Music, 39(3), pp.328–344. http://dx.doi.org/10.1177/0305735610374895. Ritchie, L. and Williamon. A., 2013. Measuring musical self-regulation: linking processes, skills, and beliefs. Journal of Education and Training Studies, 1(1), pp.106–116. http://dx.doi.org/10.11114/jets.v1i1.81. Ralph Strehle holds a PhD in English from Royal Holloway, University of London and also an MA in postmodernism, literature and contemporary cultures. As a visiting lecturer he taught courses in modern theory, literature and philosophy, and postmodern critical theory at RHUL. In his PhD and subsequent publications Ralph tried to establish a post-structuralist phenomenological ethics. In recent years, Ralph has become interested in the transition from philosophy to performance psychology. Using Personal Construct Theory and Self-Determination Theory, his particular focus is on the interaction between individuals and their social environment in the context of music performance.